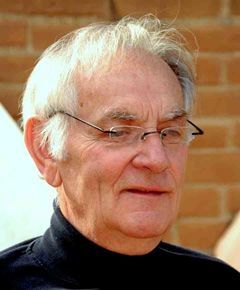 Born in Horvatkimle, Hungary, Laszlo Stipkovits gained his veterinary qualification at the Moscow Veterinary Academy (1961) and his PhD from the Hungarian Academy of Sciences (1968). In 1961 he joined the Veterinary Medical Research Institute of Hungarian Academy of Sciences, was Deputy Director of the Institute from 1985-1990, and headed the Mycoplasma Research Group. In 1988 he was appointed professor of epidemiology at the Faculty of Veterinary Sciences, Szent Istvan University, Budapest. Since 2008, he has been Director of the Veterinary Translational Research Group at the RT-Europe Research Center, Hungary. Laszlo has worked mainly on mycoplasma infections of poultry, and also on mycoplasma infections of domestic mammals, with a particular interest in their pathogenesis. He was the first to isolate Acholeplasma axanthum from geese, and Ureaplasma causing respiratory diseases and mass infertility from chickens and turkeys. 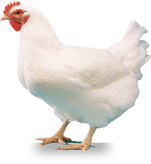 He has performed succesful eradication programmes for M. gallisepticum and M. synoviae infections in large poultry flocks. He has described pathological conditions associated with mycoplasma infections, including co-infections with viruses, such as influenza, and discovered two new species, M. anseris and “M. anserisalpingitis”. He has developed a vaccine against these mycoplasmas, which has been used successfully for several years. He has published 321 scientific papers, book chapters etc and given numerous lectures. Laszlo has always been very active in translating his research to the practicalities of dealing with mycoplasma infections, including diagnostics, vaccines, and medication for M.gallisepticum and M.synoviae infections. He has developed and tested numerous products, including blocking ELISAs for M. gallisepticum and M. synoviae, and vaccines for duck and goose mycoplasmas. From 1980-2005 he was Secretary of the Hungarian Branch of WVPA, and was Corresponding Secretary of WVPA for Hungary and Secretary of the Xth WVPA Congress in Budapest in 1997. Since 1972 he has been a member of the International Organization of Mycoplasmologists (IOM) Avian Mycoplasma Team, and he served on the Board of IOM from 1980-1984. Outside of work, he enjoys fine food, viticulture and wine making. He is active in sports, mainly soccer and yoga. He enjoys travelling with his family.